Understand the theories and interpret the actions of modern central banks Central Banking takes a comprehensive look at the topic of central banking, and provides readers with an understanding and insights into the roles and functions of modern central banks in advanced as well as emerging economies, theories behind their thinking, and actual operations practices. The book takes a systematic approach to the topic, while providing an accessible format and style that is appropriate for general audiences and students with only a minimal macroeconomic background. Theoretical reviews and examples of how the theories are applied in practice are presented in an easy-to-understand manner and serve as a guide for readers to further investigate specific ancillary central banking topics and as a means to make informed judgments about central bank actions. 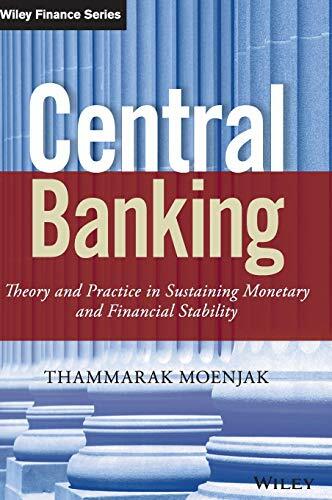 Important topics covered in the book include: * Evolution of central banking functions and the international monetary system * Theoretical backgrounds that are the foundation to the modern practice of monetary policy * Monetary policy regimes, including exchange rate targeting, money supply growth targeting, the risk management approach, inflation targeting, and unconventional monetary policy. * Actual practice in market operations and transmission mechanisms of monetary policy * The exchange rate and central banking * Theoretical backgrounds related to various dimensions of financial stability * Current developments with regards to sustaining financial stability * The future of central banking in the wake of the 2007-2010 global financial crisis * Case studies on relevant practical issues and key concepts in central banking Designed as essential reading for students, market analysts, investors, and central banks' new recruits, Central Banking better positions readers to interpret the actions of central banks and to understand the complexities of their position in the global financial arena.